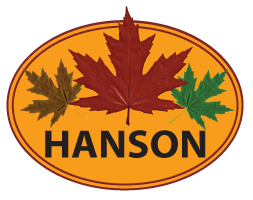 One of the main services that Hanson Landscape offers is snow removal and ice management. While it is obvious through the title of those services what types of options are available, we would like it well-known all of the services that we offer in this area. With the unpredictable and sometimes harsh winters that are seen in the Chicago area, it is only fitting that our customers know what they are getting from our snow and ice removal services. Hanson Landscape currently offers snow removal services, sidewalk shoveling, surface salting, and when necessary we offer hauling of snow. Through this process, we work around the clock to ensure that our customers are completely satisfied with our snow removal services. We strive to remove the snow and ice in a timely manner to ensure that our customers are free to safely venture into or away from their homes or places of business no matter how bad the forecast may be. We know how harsh and unpredictable the Chicago winters can be and we make every effort to keep all customers on schedule no matter the weather. If you are interested in our snow removal services and would like a quote, be sure to contact us today so we can make sure you have a safe winter. You can also call us at (630)-556-4120.